William Tumas is Director of the Center for Next Generation of Materials Design. 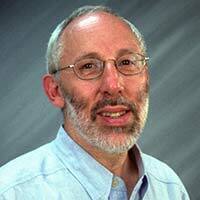 He is also Associate Lab Director of NREL's Materials and Chemical Science and Technology directorate. He is responsible for overall leadership, management, technical direction, and workforce development for more than 200 personnel integrating theory, chemistry, and materials science in applied and basic R&D focused on renewable energy including solar energy conversion for electricity and fuels, hydrogen storage and fuel cells, energy storage, and energy efficiency. Full CV. David S. Ginley is Chief Scientist (Experimental) co-leader of Project 2—Polymorphs and Synthesizability, and co-leader of Project 4—Defect Phase Diagrams in the center. 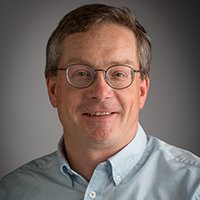 He is also an NREL Research Fellow and has more than 35 years of experience in developing new solar energy materials specifically with respect to oxides, photoelectrochemistry, and novel solar absorber materials and processing. He has managed a group conducting research in the areas of organic photovoltaics, transparent conducting oxides, combinatorial high-throughput materials science, solution-based precursors to electronic materials, and novel process technologies for photovoltaic and related devices, including batteries and fuel cells. Full CV. 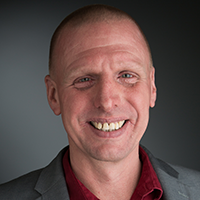 John D. Perkins is Program Integrator and co-leader of Project 6—Outreach and Dissemination in the center. 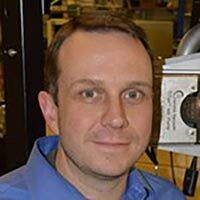 He has more than 20 years of experience at NREL in developing mixed metal oxide thin-film materials, including more than 10 years with transparent conducting oxide materials. 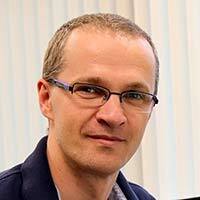 He also has experience in developing and applying high-throughput synthesis and characterization approaches to optical-quality thin-film materials. Full CV. Stephan Lany is co-leader of co-leader of Project 1—Ternary Pnictides Search and co-leader of Project 3—Chalcogenide Alloys in the center. 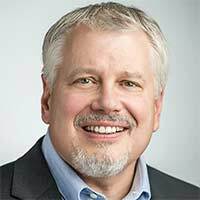 He is a Senior Scientist at NREL with 15 years of experience in computational materials science. He has developed and applied methods to predict materials properties based on first-principles calculations, including correction methods for bandgaps and defect formation energies, thermodynamic models for defect and doping concentrations, and ab-initio predictions of small polaron trapping energies. Full CV. Andriy Zakutayev is co-leader of co-leader of Project 1–Ternary Pnictides Search in the center. His research interests include physical vapor deposition of main-group- and transition-metal oxides/sulfide/nitrides, defects in semiconductors, transparent conductors and other inorganic thin-film solar cell materials. 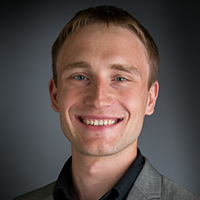 Andriy uses an experimental high-throughput combinatorial approach in his research. Full CV. Gerbrand Ceder is Chief Scientist (Theory) and co-leader of Project 2—Polymorphs and Synthesizability in the Center. He is the Chancellor's Professor of Materials Science and Engineering at the University of California at Berkeley. He received an engineering degree from the University of Leuven, Belgium, and a Ph.D. in Materials Science from UC Berkeley in 1991. Between 1991 and 2015, he was a Professor in Materials Science at the Massachusetts Institute of Technology. 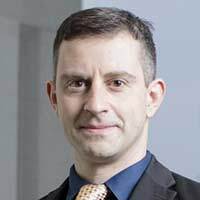 Dr. Ceder's research interests lie in the computationally driven design of novel materials for energy generation and storage. He has published over 350 scientific papers and holds several U.S. patents. 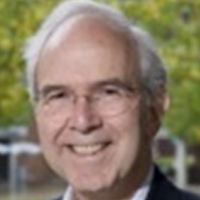 He has served on MIT's Energy Council as well as on several DOE committees, including the workgroup preparing the Basic Research Needs for Electrical Energy Storage report, and has advised the government's Office of Science and Technology Policy on the role of computation in materials development, leading to the Materials Genome Initiative. He is a Fellow of the Materials Research Society and a member of the Royal Flemish Academy of Arts and Sciences. He has received the MRS Gold Medal, the Battery Research Award from the Electrochemical Society, the Career Award from the National Science Foundation, and the Robert Lansing Hardy Award from The Metals, Minerals and Materials Society, as well as several teaching awards. He is a co-founder of Computational Modeling Consultants, Pellion Technologies, and The Materials Project. Full CV. 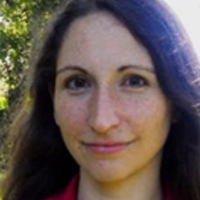 Kristin Persson is co-leader of Project 6—Outreach and Dissemination in the Center. She is a Staff Scientist at Lawrence Berkeley National Laboratory, where she leads The Materials Project, which she co-founded with Gerbrand Ceder at MIT. 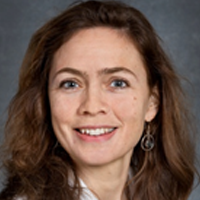 She directed the Materials Project Center for Functional Electronic Materials Design, and is principal investigator of the Crosscutting Thrust of the Joint Center for Energy Storage Research hub. She is also a principal investigator of the Batteries for Advanced Transportation Technologies program and has co-founded the clean-energy start-up Pellion Technologies Inc., which is developing high-energy rechargeable magnesium batteries. Her research interests range from phonon-related structural instabilities, structure prediction in alloys, pressure-induced spin transitions, alkaline batteries, high-throughput materials discovery, to dissolution of solids in aqueous media. Full CV. Brian Gorman is Associate Professor in Metallurgical and Materials Engineering at the Colorado School of Mines. He heads a program to integrate an atom probe tomography system with in-situ ultrafast electron diffraction. The goal is to be able to integrate atomic spatial and chemical resolution measurements with sub-nanosecond temporal resolution for monitoring diffusion, phase transformations, and crystallization processes. Full CV. 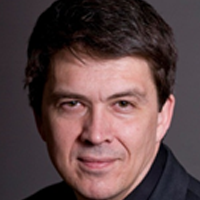 Vladan Stevanović is co-leader of Project 5—Perovskite-Inspired Search and co-leader of Project 7—Foundational Tools in the center. He is a research professor at Colorado School of Mines and a theoretical solid-state physicist by training. However, he prefers to call himself a computational materials scientist because he uses large computers to deal with real-life problems and materials—in particular, those that have to do with more efficient use of the energy coming from the sun Full CV. Roy Gordon has served as Chairman of the Department of Chemistry at Harvard and is the Thomas D. Cabot Professor of Chemistry. His research ranges from applied mathematics to quantum mechanics, spectroscopy, intermolecular forces, solid-state and materials science. His theoretical work has led to a better understanding of bonding in molecules and solids, and to predictions of new solid phases and phase transitions. His discoveries of new materials and vapor deposition processes are widely used commercially for making thin films in solar cells, energy-conserving window coatings, display devices, and semiconductor electronics. Full CV. 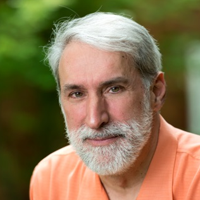 Daniel Nocera is the Patterson Rockwood Professor of Energy at Harvard University and is recognized worldwide as a leading researcher in renewable energy. His group has done pioneering studies of the basic mechanisms of energy conversion in biology and chemistry with a particular focus on multielectron transformations and the coupling of protons to electron transfer. His group has accomplished a solar fuels process that captures many of the elements of photosynthesis and he has now translated this science to produce the artificial leaf. He founded Sun Catalytix, a company to develop energy storage for the wide-spread implementation of renewables. In August 2014, Lockheed Martin purchased the assets of Sun Catalytix, and now Sun Catalytix technology is being commercialized under the new venture, Lockheed Martin Advanced Energy Storage, LLC. Full CV. Tonio Buonassisi is co-leader of Project 5—Perovskite-Inspired Search in the center. He is Associate Professor of Mechanical Engineering at MIT, and he heads a research laboratory with an interdisciplinary focus on photovoltaics. 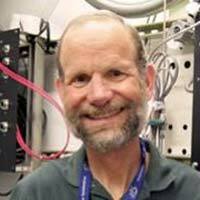 His research interests include solar energy conversion, predictive process simulation, defects, multiscale characterization (synchrotron), and photoelectrochemistry. His experience includes understanding and controlling metal-related defects in multicrystalline silicon solar cells. Prior to MIT, as a crystal growth scientist, he was part of the team that developed a next-generation crystal growth furnace and helped to improve solar cell efficiency and mechanical yield in crystal growth and cell fabrication. He is co-founder of the Fraunhofer Center for Sustainable Energy Systems in Boston, MA. Full CV. Full CV. Alexie Kolpak is co-leader of co-leader of Project 4—Defect Phase Diagrams in the center. She is Assistant Professor in the Department of Mechanical Engineering at MIT. Her research interests involve computational modeling of fundamental processes coupled with atomic-scale materials design and experimental collaboration to address energy and environmental challenges. Her focus in catalysis includes dynamically tunable catalysts for efficient CO2 capture and conversion; polar nanostructures for water splitting; and new methods for ab initio prediction of realistic atomic structure and properties of oxide/solvent interfaces. Her focus in photovoltaics and electronics includes multiferroic and opto-electronic materials; nanostructured hybrid organic/inorganic photovoltaics; and the effects of atomic structure and stoichiometry on band alignment and charge transfer across metal/oxide and oxide/semiconductor interfaces. Full CV. Janet Tate is co-leader of Project 3—Chalcogenide Alloys in the center. 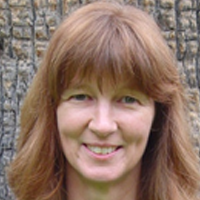 She is Professor of Physics at Oregon State University, and her research program focuses on the structural, transport, and optical properties of a wide variety of electronic materials, particularly thin films. Materials of current interest are transparent conductors and photovoltaic materials, and her group works closely with colleagues in Chemistry and Electrical Engineering at OSU. Full CV. Michael F. Toney is co-leader of co-leader of Project 7—Foundational Tools in the center. He has more than 30 years of experience in synchrotron X-ray methods of materials characterization and is an expert in thin-film, surface, and interface studies with X-ray and neutron scattering techniques. He was one of the pioneers, while at IBM, in the use of surface diffraction for investigating atomic structure at solid/liquid interfaces and organic thin films. Full CV.